Some people have asked me if I could explain how I made the outer shell of the String-lights, and I decided to make this mini tuotrial to explain it. 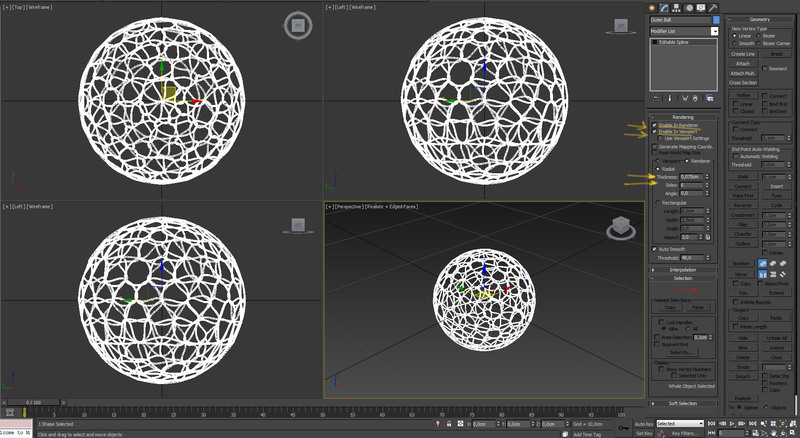 1/ Firstly, open new scene and select centimeters as units system, then we need to create a Geosphere, go to standard primitves and select Geosphere, create it with following values: Radius 4 cm, 4 segments and Icosa for Geodesic Base Type. 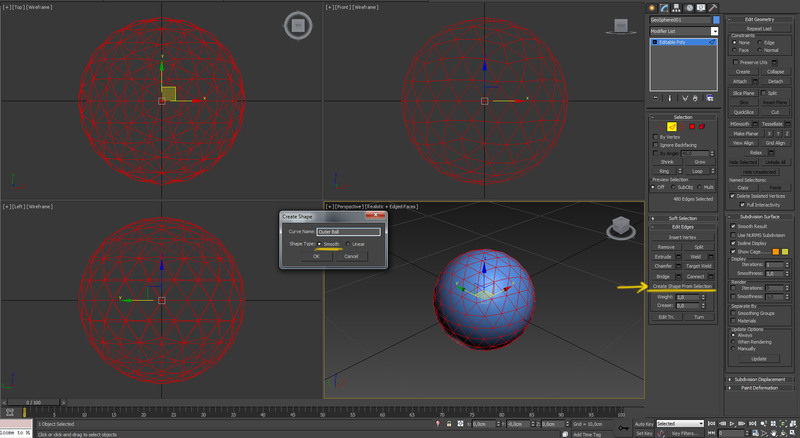 2/ With Geosphere selected, right click and select convert to Editable Poly. 3/ Select a Sub Object level Edges and select all edges. 4/ With all edges selected, click Create Shape From Selection, rename it and make sure the smooth option is selected. 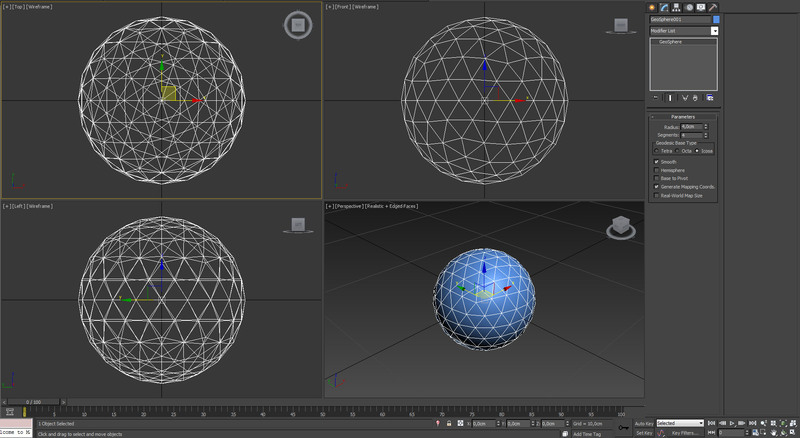 5/ Delete or Hide Geosphere and select the new Spline that we just created. 6/ In Rendering options, check Enable in Render and Enable in viewport, then change radial thickness at 0,075 cm with 6 sides. 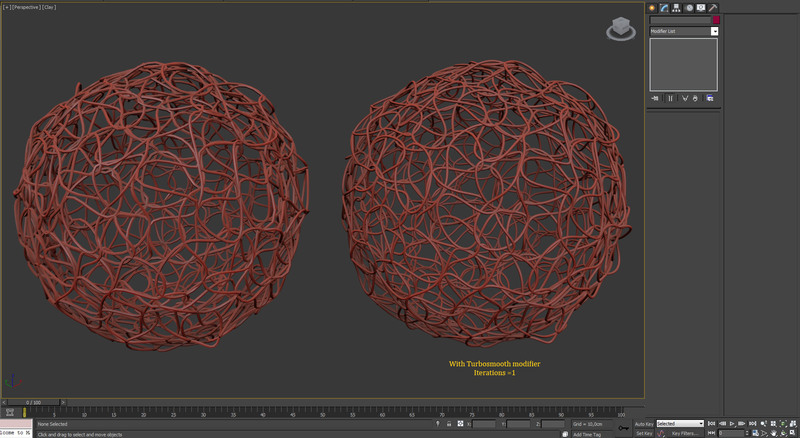 At the end of process we can add the turbosmooth modifier if we want more definition. 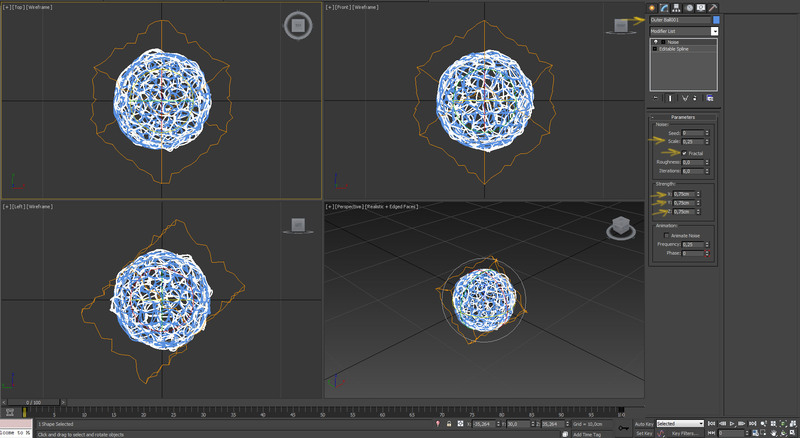 7/ Add a noise modifier with the following values: Scale 0,5, check fractal and strength 0,5 cm for all values. 8/ With the outer ball selected, press “E” (Rotate) and press “A” for activate angle snap. “Ctrl v” to clone it and then rotate it 45º in top view (horitzontal rotation) and 45º in front view (vertical rotation). 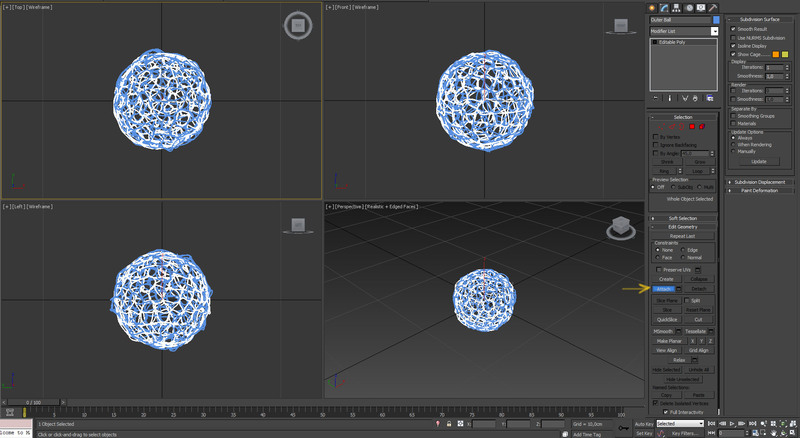 9/ Modify the noise parameters of the cloned ball with the following values. Scale 0,25, check fractal and 0,75 for the strength values. 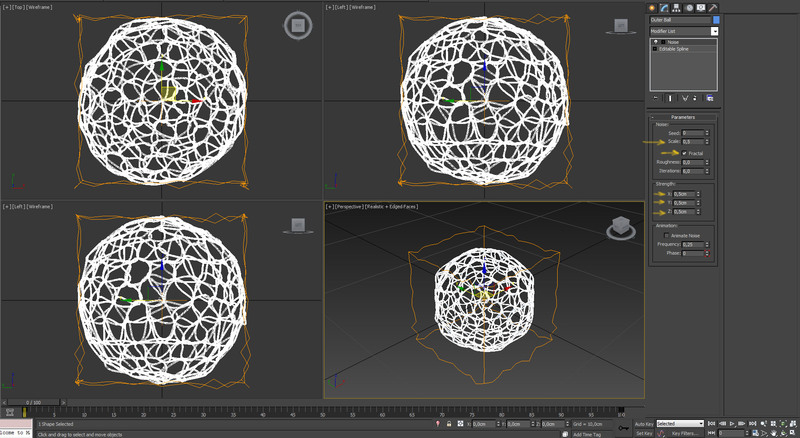 10/ Select two balls, right click and select convert to Editable Poly. 11/ Select one of the balls and attach the other. 12/ If we need more definition we can add a turbosmooth modifier. This is the final result. Tutorial made by Toni Fresnedo. 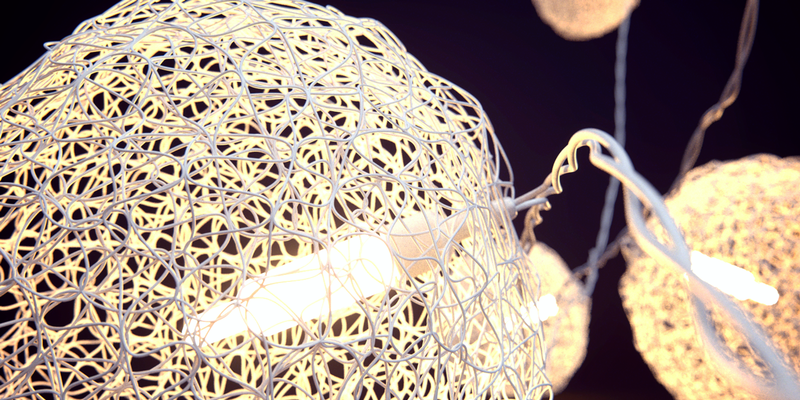 One comment on "String Lights Outer Ball Tutorial"
This is a great tutorial with a lot of practical uses for more ‘experimental’ images. Are the emitters inside the balls just Maxwell normal emitters, or are they HDR emitters? I’ve always found that when I use only Maxwell emitters, the light is very ‘flat’ and uniform in terms of how they appear. The effect you have here is perfect.